Google’s new messaging app, Allo, has received a lot of praise and equally as much criticism. As we begin to see the Google Assistant become more prevalent I think the appeal of Allo will start to pick up steam. For now we can be happy that Google has created a cross-platform messenger with some very unique features. One of the biggest downsides of the Allo app is the lack of desktop support. This feature is what has made Hangouts our go-to application for the majority of our communication needs. 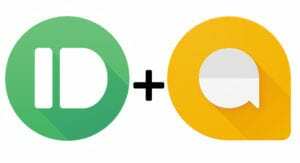 Today, Pushbullet has helped bridge the gap in the stead of Allo’s shortcoming. For those of you that don’t know, Pushbullet is a third-party app that allows you to receive push notifications on your desktop. It also allows you to reply to any number of Android services. You can read more about the Quick-action Support at the Pushbullet Blog. Setting up Pushbullet for your phone and computer only takes a few, simple steps. Get Pushbullet on your Android phone. Enable Notification Mirroring after signing in to the Android app. Install Pushbullet on your computer (either the browser extension or Windows desktop app). You can pick up the Pushbullet extension for your Chromebook at the Chrome Web Store. It appears that a Pro account is required to receive and respond to Allo notifications. Currently, the notification window will only allow for Allo’s canned responses. With the update that is starting to roll out we hope to see an actual reply option in the desktop. We will be playing around with Pushbullet over the next few weeks and keep you up to date on new options and features as the arrive.